Hanoi (VNA) – The ASEAN-Korea Joint Cooperation Committee (AKJCC) convened its sixth meeting in Jakarta, Indonesia, on April 12 to review bilateral cooperation over the recent past and seek measures to promote their partnership in the future. At the meeting, the two sides recognised the positive outcomes of the collaboration between the Association of Southeast Asian Nations (ASEAN) and the Republic of Korea (RoK) in politics-security, economy, trade, investment, tourism, education, culture and people-to-people exchange. In economy, the RoK has been the fifth biggest trade partner and investor of the ASEAN, with two-way trade reaching 152.5 billion USD in 2017, over 160 billion USD in 2018 and the flow of foreign direct investment (FDI) from the RoK into the ASEAN hitting 5.3 billion USD in 2018. Through cooperation mechanisms such as the ASEAN-Korea Free Trade Agreement (AKFTA) and the joint Action Plan, the two sides have strived to raise two-way trade to 200 billion USD in 2020. The RoK affirmed that it considers the ASEAN as the core of the “New Southern Policy” initiated by President Moon Jae-in, while underscoring the significance of partnership with the ASEAN as well as the country’s support for the bloc’s efforts to promote its central role in the regional cooperation and connectivity process. The RoK supported the ASEAN in building a Code of Conduct (COC) in the East Sea, committing to actively engaging in and contributing to important ASEAN-led cooperation mechanisms and forums such as the East Asia Summit (EAS), the ASEAN Regional Forum (ARF), ASEAN Defence Ministers’ Meeting Plus (ADMM ), and the Expanded ASEAN Maritime Forum (EAMF). The RoK also lauded the ASEAN’s role in and support for the peace and denuclearization process on the Korean Peninsula, especially through the summits between the US and the Democratic People’s Republic of Korea in Singapore in 2018 and in Vietnam in February 2019. Meanwhile, the ASEAN underscored the grouping’s support for efforts for inter-Korean dialogue and denuclearization on the Korean Peninsula through peaceful measures. Participants at the meeting agreed that the ASEAN-Korea Centre and the ASEAN Cultural House have contributed to promoting investment, trade, cultural and tourism partnerships between ASEAN countries and the RoK. They highlighted the effective support of the RoK to bilateral cooperation projects and programmes through the ASEAN Korea Economic Cooperation Fund, while lauding the RoK’s decision to double its contributions to the fund in 2019 to 14 million USD. 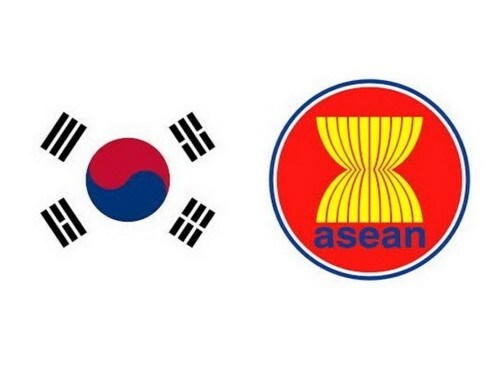 The two sides agreed on the need to continue realizing the outcomes of the 20th ASEAN-RoK Summit in line with the ASEAN Vision 2025, while focusing on completing action lines in the joint Plan of Action for the 2016-2020 period, especially those in prioritized areas such as trade-investment, science-technology, ICT, cyber security, digital economy, smart city, human resource management, small, medium and micro enterprises support. They concurred to enhance partnerships in various fields such as culture, education, tourism, energy, environment, climate change, and strengthen the engagement of the RoK in the ASEAN Smart City Network, as well as support to the ASEAN Integration Work Plan in the third phase and other sub-regional economic cooperation frameworks such as the Mekong-RoK Action Plan for 2017-2020.